If you’re getting this error when playing around with your drivers: AMD software has stopped working, don’t worry! There’re workarounds to this issue. This is an error pretaining to driver update, so you can also try another option to update your AMD drivers in your computer. Here are the solutions you can try. You don’t need to try them all; just work your way down until your problem is resolved. 1) You should uninstall the AMD software in your computer first. 2) After uninstalling, to go the AMD download center. 3) Search the latest correct driver you need to install. 4) Run the downloaded file and install the driver in your computer. This requires time and computer skills. To save your time and avoid downloading the wrong drivers, you can try the method below to automatically download and install your AMD drivers. 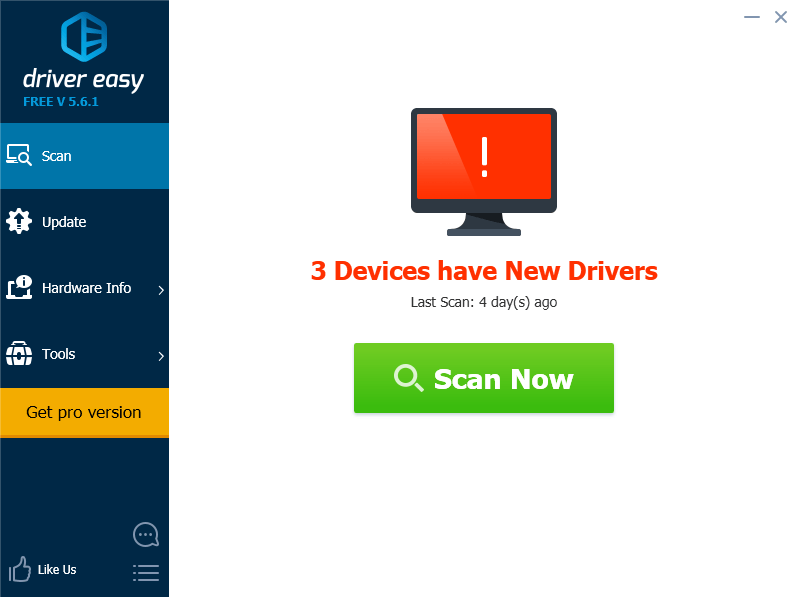 If you’re not familiar with playing around with drivers, you can do it automatically with Driver Easy. 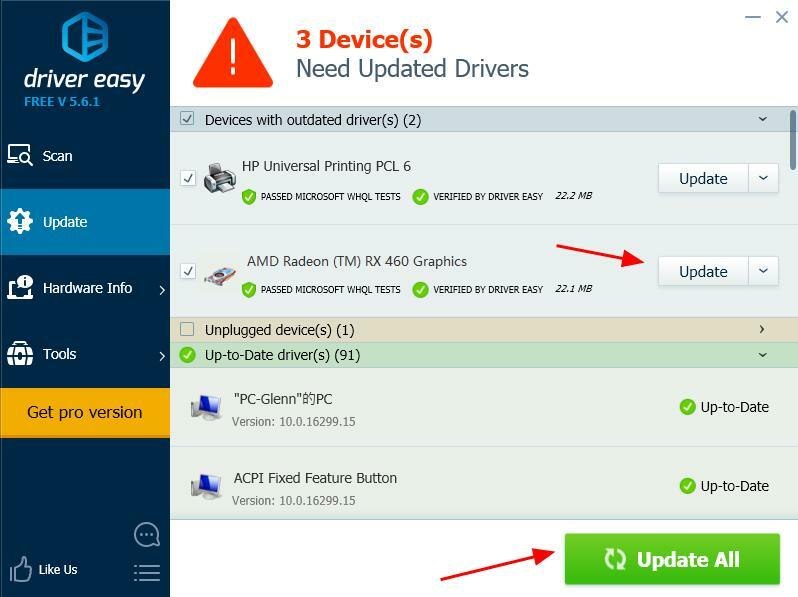 3) Click Update button next to the driver name to download the latest version of the correct driver (you can do that with the FREE version). Then install the driver in your computer. 4) After updating the drivers, restart your computer, and you should have your AMD driver installed now. There are the solutions to fix AMD software has stopped working. Feel free to comment below and let us know your thought.